Lawmakers must not delay in dissecting what went wrong earlier this year with their unpopular plan to exempt themselves from the state’s Public Records Act. They must not make the same mistakes again. Washington lawmakers had to issue a collective mea culpa earlier this year after they obtusely jammed through a bill to exempt themselves from the state’s Public Records Act. More than 20,000 angry citizens called and emailed Gov. Jay Inslee to urge him to veto the bill, which he did on March 1. Caught in the headwind of public opinion, legislators backed down and vowed to do better next time. To help make amends, lawmakers agreed to form a task force that would, over the next nine months, develop recommendations about releasing legislative records. Yet nearly three months after the state Capitol’s meltdown over Senate Bill 6617, lawmakers have yet to form this vitally important group. Instead, leaders of the Legislature’s four political caucuses are still internally negotiating what the task force should look like. From the outside, progress looks slow. The task force is supposed to include open-government advocates, as well as representatives of the media coalition that recently sued for access to lawmakers’ text messages, calendars and other working documents. A Thurston County judge ruled in favor of the media coalition in January, saying the Legislature was breaking the law by withholding these public records. The Legislature is now appealing the decision in that case, which was brought by 10 news organizations, including The Associated Press and The Seattle Times. But lawmakers must not delay in dissecting exactly what went wrong earlier this year. They should ensure this is not a sham of a public process, from which they emerge with the same faulty bill that prompted this year’s sharp public outcry. 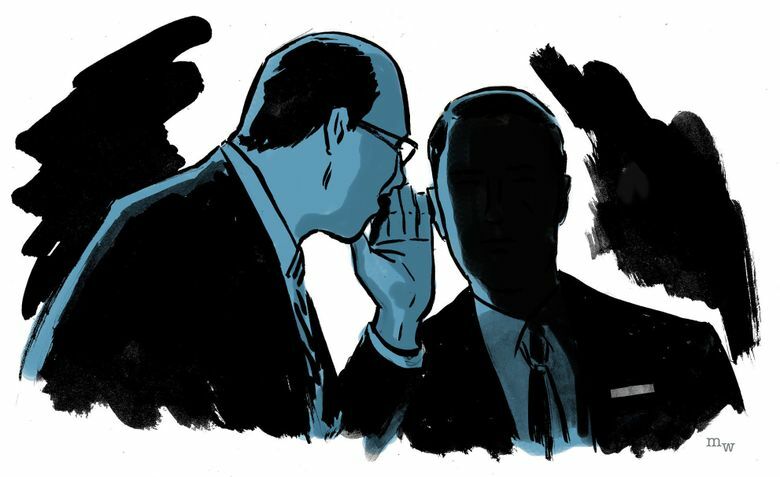 And, in this legislative election year, voters should question their representatives about their role in this rush to secrecy — and gauge the values of their challengers. Washington citizens not only were angered that lawmakers introduced and passed SB 6617 bill in a mere 48 hours. They were also upset that the legislation tried to circumvent January’s court ruling by cutting off access to all past legislative documents, including old emails, disciplinary records and investigations into lawmakers’ conduct. At the same time the #MeToo movement was revealing previously unreported accusations of sexual harassment at the Capitol, the Legislature was desperately trying to keep its past records secret. The bill also was fatally flawed because it would require the release of only certain types of documents going forward, instead of using the broader definition of public records that most other government agencies must follow. That includes the governor and state agencies, as well as local jurisdictions such as school boards and city councils. What’s more, the lawmakers’ proposal would have eliminated the option for people to appeal to a judge if their records request is denied, an important means of enforcing the Public Records Act. These are major shortcomings that lawmakers must be careful not to repeat if they attempt to revive this legislation. For starters, having a few public meetings will be an improvement over the closed-door process that lawmakers followed when they developed the bill the first time. But that won’t justify reintroducing and passing a similarly flawed bill. That would still be a loss for government transparency, and the public. Citizens continue to watch.